3 Super students won real estate education scholarships from Commercial Real Estate Women (CREW) Miami. CREW honored the Winners at a Four Seasons luncheon attended by +100 movers ‘n shakers on 12- 12-12! A BIG THANK U to CREW! Below 2 winners share how much the scholarship means to them! Good News! U can earn a scholarship too, or, donate for next year! Read Biz News re Winners! Ok, now let me brag about the student winners 🙂 They are Professor Real Estate® Alumni! They won for their academic excellence and active pursuit of real estate careers. This was the 1st year of the CREW Miami Scholarship! I’m proud to be on the Scholarship Committee! Latosha Miller is earning an MBA and pursuing her General Contractor’s License. In the past Latosha coordinated Florida Department of Transportation (FDOT) projects! Latosha likes to soak up and apply every lesson she learns about real estate! Shirley Baruk is an undergraduate real estate & int’l business major pursuing a property management career. Shirley is bright and applies her classroom learning directly to the real world of real estate! Francine Rozenthal is pursuing a degree in the School of Architecture for interior design! She is recognized as one of the top students in the program! Keep your eyes on these Winners, these scholarships help them continue on their paths of success! Contact me if you’d like to learn more about the Winners, CREW Scholarships, other Scholarships, and How You can Donate to CREW Scholarships! 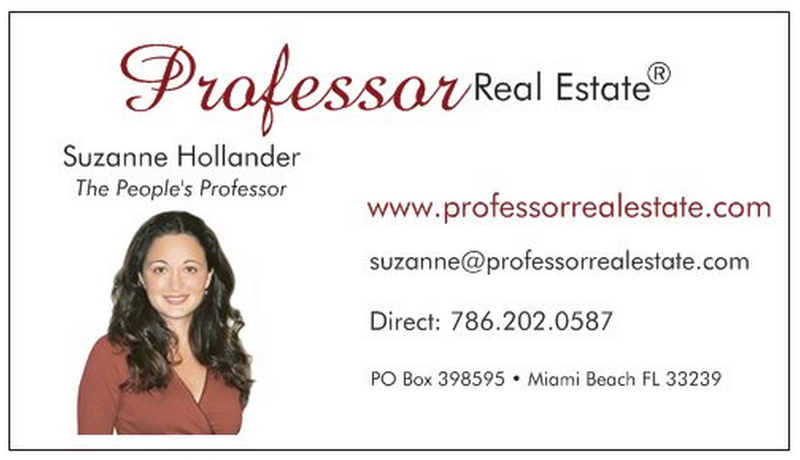 Feel free to contact me Professor Real Estate® to Learn Something Real Estate, real estate education, real estate consulting and positive motivational seminars to get you and your team moving in the right direction! « Property Love: Love Your Property & It Will Love U and Your Lender Back: National Article! > Buying Real Property > Super Students Win $uper Scholarships!